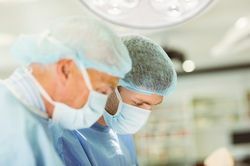 Advances in technology have enabled doctors to address complex concerns without the need for extensive procedures that require lengthy recovery times. To address health issues that affect the liver and gallbladder, our highly trained surgeons can perform minimally invasive liver surgery at our New York, NY, practice using laparoscopic techniques. If you have been diagnosed with a liver or gallbladder condition, we can determine if this approach is right for you. Contact Laparoscopic Surgical Center of New York today to schedule a personal consultation. Gallstones: We can remove these hardened deposits of digestive fluid that form in the gallbladder and cause intense pain. Inflamed gallbladder: Inflammation of the gallbladder can be caused by a number of factors. We can use laparoscopic techniques to help identify the exact cause of your concern and then plan treatment accordingly. Liver tumor removal: During this procedure, which is known as liver resection, up to one-half of the diseased organ is removed, while the healthy, properly functioning portion is left intact. Gallbladder tumor removal: If you have been diagnosed with gallbladder cancer, we may be able to remove both benign and cancerous tumors using minimally invasive techniques. When you visit our practice for a consultation, we will review your medical records, discuss your symptoms, and recommend any necessary testing to determine the best course of treatment. Most laparoscopic procedures are performed on an outpatient basis, meaning that patients do not need to stay overnight. In addition, most laparoscopic procedures are performed on an outpatient basis, meaning patients do need need to stay overnight. Since we believe in the importance of patient education, we will ensure that you understand every part of the surgical process so that you can feel more confident and comfortable about your care. At the Laparoscopic Surgical Center of New York, our surgeons’ expertise in minimally invasive techniques allow for our entire staff to be focused on patient-oriented care. As our patient, you can rest assured that our dedicated staff and highly trained team of surgeons will be available to you every step of the way, ensuring you receive the best possible care and enjoy a safe and quick recovery. If you believe you may be a good candidate for laparoscopic liver or laparoscopic gallbladder surgery, schedule an appointment today.